One of my favorite parts of any conference, and SNAG (Society of North American Goldsmiths) was no exception, is the vendor area. 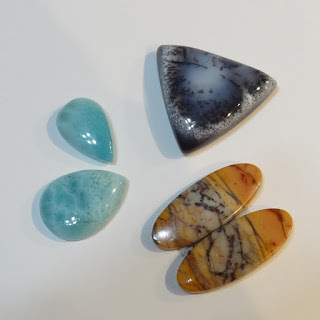 I found some great new sources for gemstones and pearls to accent my upcoming work. 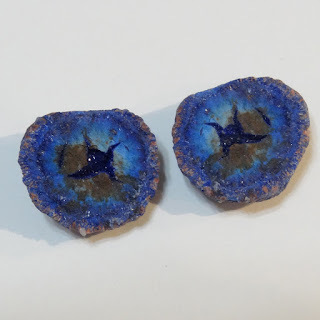 First off, Gangi Gems sucked me in with tables filled with wondrous colors and items I'd never seen before, such as this azurite geode pair. I don't have any idea yet how I will mount these, prongs probably, but I visualize them dangling in earrings. 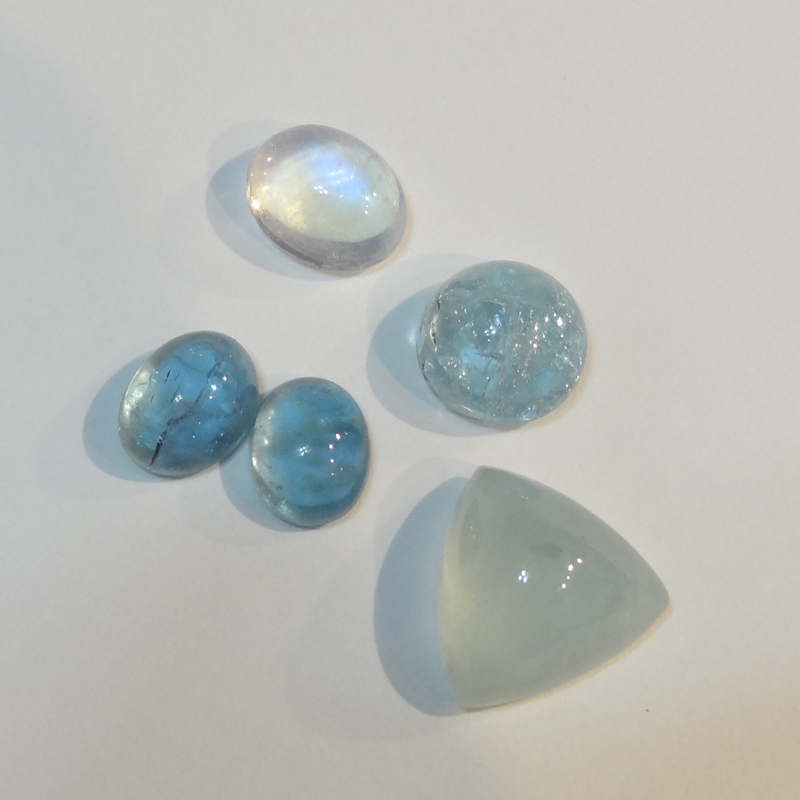 These pear-shaped larimar cabs are destined for focal pieces in necklaces or brooches. The dendritic agate looks perfect to pair with oxidized and bright silver. I love the many colors of cherry creek jasper, so this matched cab pair will also get an original earring design. Next, the perfectly named King's Ransom enticed me with pearls in every color and shape. Not the common cheap pearls, but high quality (expensive!) pearls, such as matched half-drilled ivory teardrops and the black rounds. 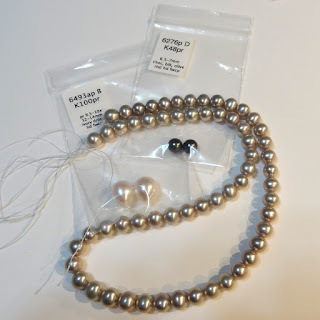 These champagne silver pearl beads are destined to be earring drops on my oxidized silver Moonflower earrings. 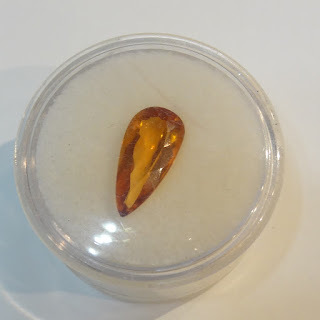 Atlas Gemstones was a busy booth, with boxes full of gems in labeled plastic bags to peruse, as well as amazing carved stones, beads, cabochons and faceted stones of every size and color. I think I looked at every bag in those boxes, but the stones that called me back were aquamarines and a really nice oval moonstone. There were some amazing labaradorites that may haunt me. Finally, in the last minutes of the show, an elongated pear faceted citrine with color changing along its length called my name from the Jewellery Jamboree Gems booth. I'm thinking some 18k gold accents will look lovely with it on blackened silver.